We are proud supporters of local Woodstock Businesses. We promote, support and connect local people, to develop and grow their businesses. Through networking, events, advocacy and education we build better relationships between members and their businesses. Our mission is to promote local business prosperity and a healthy community by providing education, information, services and advocacy for its members. We encourage a strong local economy by promoting sound government and informed membership and community. Our passion is to see businesses grow and thrive in a welcoming and supportive environment. For over 140 years the Woodstock Chamber of Commerce has been dedicated to supporting local businesses. 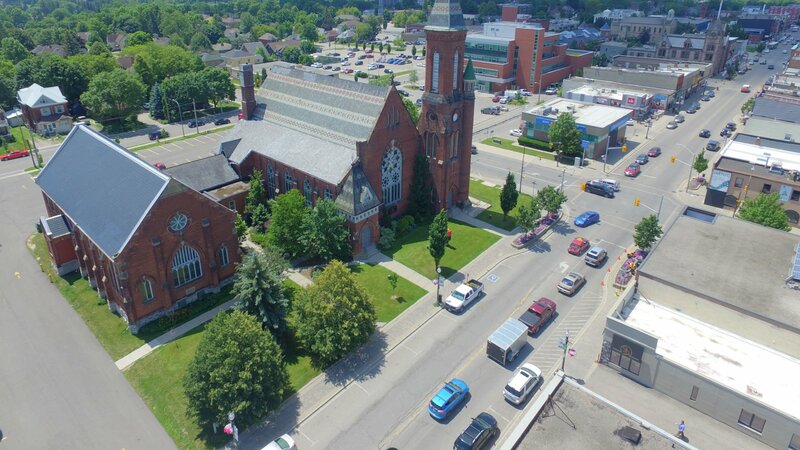 The Woodstock Board of Trade, the forerunner to the current Chamber, was founded in 1877 and by 1893 had an impressive membership of 117 businesses. Initiatives undertaken by the Chamber included supporting a local fruit cooperative, and campaigning for better fire protection. A special committee was also formed to investigate electricity and gas in the township. Conscious of the needs of the local community, the Chamber also lobbied for shade trees and public parks to greatly improve the appearance of the streets and avenues. Many familiar businesses were founded during this period including Mr Anderson’s furniture company, The Bain Wagon Company, and the New Barnes bicycle company. Peacocks Mill and the Imperial Rollermills resumed operations under new management after a slump in trade due to the recession. The Chamber formed a committee to consider the advisability of incorporating the town as a city. The Chamber continues to help local businesses throughout the early 1900s, helping local textile firms, and exploring the feasibility of the local auto factory. The end of World War 1 saw a resurgence in activity, and three famous firms moving to Woodstock; Kirsch, Bickle-Seagrave and LaFrance. The 1930s stock-market crash affected industry in the town, and saw the board of the Chamber of Commerce helping those without jobs by creating work projects. The Chamber also campaigned for a recreational sports field, and against cuts in training and domestic science classes. One of the highlights of the 1930s was the prize cow Woodstock Snow Countess becoming a world champion of all breeds for lifetime production milk! During the 1940s the retail section of the board was formed, as Woodstock’s industry started to diversify to support the war effort. The 1950s saw a name change from the Board to the Chamber (we just use Chamber throughout as it’s easier!) The first bus route was introduced in 1961, and increased in 1968 to seven buses. The Chamber also sponsored an independent study of land annexation between Woodstock, Blandford, East and West Oxford and East Zorra. The 1960s saw tremendous changes as downtown Woodstock was revitalized, with 80 businesses being involved in a facelift and redecorating. The Chamber also sponsored the Santa Claus parade, featuring six bands, ten floats, and three majorette groups! In 1969 the Chamber became the Woodstock District Chamber of Commerce.